Brian was born and raised in Stockbridge, GA and grew up with horses. He got his first “Problem” Horse when he was only 14. A young stallion had attacked his uncle, bitten him in the shoulder, and was no longer wanted. Brian always liked that horse, and was ready to take on that challenge. So, his uncle sold him the horse, for the grand sum of $175.00, and Brian was in the “Problem and Dangerous Horse Business”! The lessons that stallion taught Brian were the basis for the never-ending search for a way to give those problem horses a “Better Deal”. With the love and the gentle touch of a young boy, the horse soon became Brian’s best friend and together they won many blue ribbons. Many of the other competitors saw what Brian could do and started asking him for help. Soon Brian found himself spending more and more time helping others with their horses. He always seemed to have that special touch with the “bad” horses….the ones nobody else could ride, the ones that would buck, the ones that would bite and kick, and the ones nobody else wanted. During his tour in the United States Marine Corps, he was fortunate enough to travel the world over. And, as his love of horses was his constant companion, he put it to good use, riding, learning and studying horses, and horsemen, methods and myths, from all over the word. It seems while other Marines were busy finding trouble, he was busy finding barns and pastures full of horses. Over the years, Brian started taking horses in for training. He has started many young horses under saddle that today compete in Dressage, Hunter, Jumper, Western Pleasure and even Endurance Races. Many horses that came with a bad reputation have become reliable and safe mounts even for beginner riders. For the last few years, Brian has been offering 2-day Horse and Rider Clinics in the Atlanta, GA area, which have been very successful. Many owners have found a better way to communicate with their horses and several have attended another, more advanced clinic. A Mustang Gentling Symposium to gentle a 5-year-old Mustang Stallion that could not be touched, was a huge success as well. The horse was adopted by one of the attendees and has become a wonderful riding horse for his new owner. Many private Saddle and Riding Clubs have put on clinics with Brian to help their membership with their horses. The most recent include the Cherokee County Saddle Club, The GA Bits OPRC and he was the main attraction during the Grand Opening of the Arena at Red Gate, a new and very exclusive Equine Estate Community. 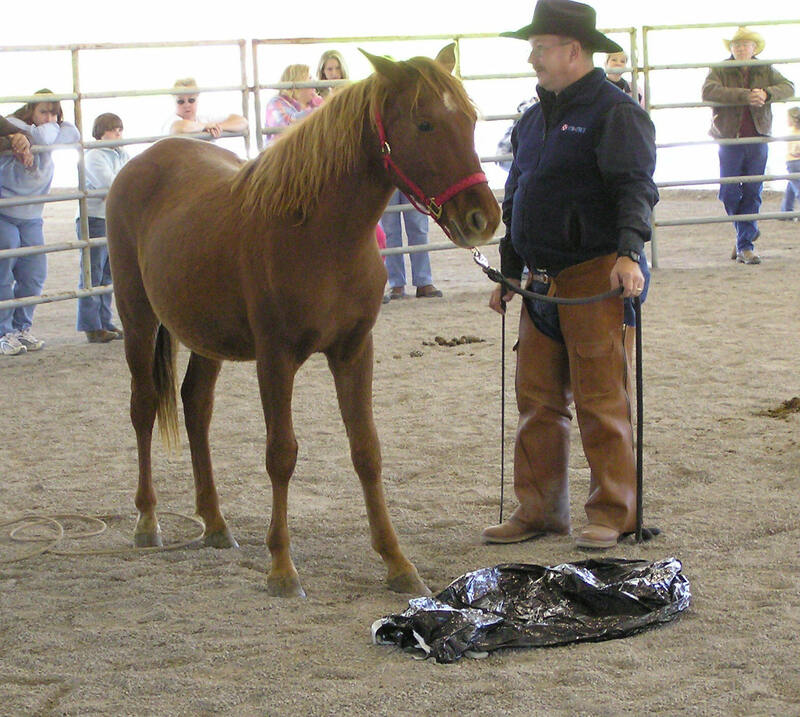 Brian has been a regular among many other clinicians during the Georgia Horse Council’s annual Horse Fair for several years and has been the Headliner for the North Georgia Horse Fair in November 2003. 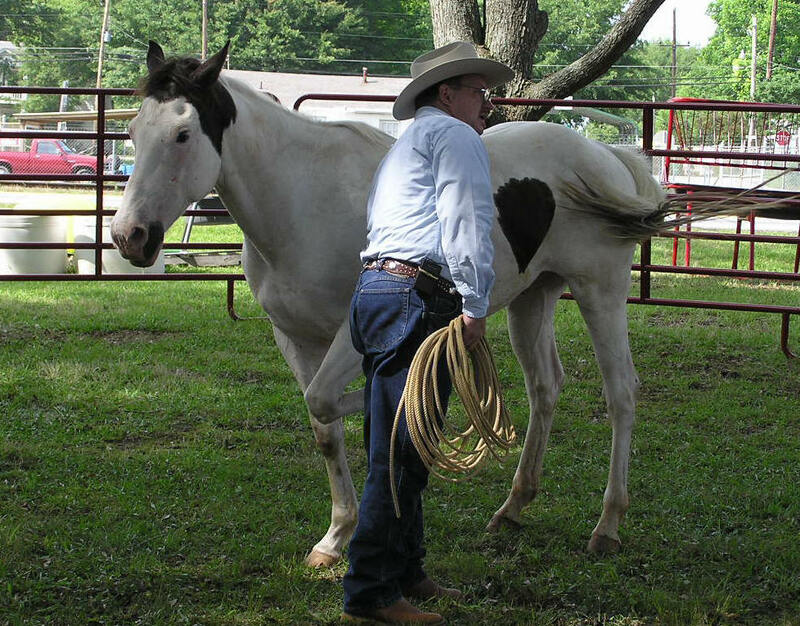 Brian is also the newly elected President of the Georgia Equine Rescue League for which he has offered his services many times to help abused horses to become reliable mounts. Currently, one of Brian’s Corporate Sponsors is Purina Mills, for which he is giving clinics and symposiums in North Carolina, South Carolina, Virginia as well as Georgia. These clinics are usually well attended and often draw a big audience with well over 100 in attendance. The Dixie Horse and Mule Co. in Georgia, the Nation’s Number One Dealership for EXISS trailers, also has agreed to sponsor Brian and is promoting his clinics as well. 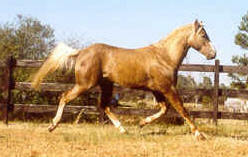 A successful Colt Starting Symposium was presented to their customers in April 2003. Other sponsors include Lexol/Corona, Shapley’s, Select the Best, Boehringer Ingelheim, and Merial. These companies have graciously provided Brian with many samples of their fine products that Brian uses on his own horses, to give away at his clinics and symposiums. The newest sponsors are Continental Saddlery and Classic Equine. Both of which are very well known for the quality and durability of their products. Not only does Brian bring the best to the training pen, but he also believes in taking the best care of his horse that he possibly can. He always says that in order for a horse to learn, the horse has to be healthy and pain free. If you look at the list of sponsor’s listed above you will see that only the finest companies, with the best products made that list. Brian is proud to be associated with the best. The best feed, grooming products, insect repellant, supplements, as well as tack, and leather care. Even down to the Exiss trailer that he hauls his horses in, he believes that only the finest, safest, most reliable products can help assure the best outcome in the horse world. Whether you trail ride, rope, ride endurance, tackle the dressage arena, or jump, the best training, along with the best care, will always prevail. So remember, no gimmicks, no “quick fixes”, no fads, and no “Super Duper Magic Wonder Fairy Dust in a one of a kind exclusive only to be found here amazing liquid that heals everything and makes your training problems disappear, sets the training world on fire and enables you to speak to your horse in a way that makes you and only you the worlds best and most capable world champion rider that ever took over the entire roping, reining, cutting, jumping, dressage, endurance, buggy driving, three day eventing, racing, vaulting, western/English pleasure world, and won it all junk” can be found in ANY of his training methods. Just tried an true methods, that have been around for a long time, passed from one generation of horsemen to the next, accompanied by the best feed, tack and other products, designed to keep you safe, your horse safe, and both of you calm and confident can be found with Brian, on the road, and at home at Paradise Ranch! Please, stop by and say “Howdy”, and visit with him, wherever you may find him. On the trail, on the clinic circuit, or at home. Oh yeah, and don’t forget to give ole “Gunner”, his Chocolate Palomino stallion, a rub while your are at visiting with Brian!